Dr. Assaf Yasur-Landau is an Associate Professor of Mediterranean Archaeology in the Department of Maritime Civilizations and a Senior Researcher at the Leon Recanati Institute of Maritime Studies at Haifa University. He has participated in many excavations and surveys since 1986 at sites in Israel, Greece, and Turkey. In addition to Tel Kabri, he co-directs underwater and coastal excavations and surveys at Tel Dor and Tel Achziv. Dr. Eric H. Cline is Professor of Classics and Anthropology, former Chair of the Department of Classical and Near Eastern Languages and Civilizations, and current Director of the GWU Capitol Archaeological Institute at The George Washington University in Washington, DC. He has participated in more than 30 seasons of archaeological excavation and survey in Israel, Egypt, Jordan, Greece, Cyprus, and the USA. Dr. Andrew Koh is with the Department of Classical Studies at Brandeis University and the Center for Materials Research in Archaeology with MIT; he holds his degrees from UPenn (Ph.D.) and the University of Illinois at Urbana-Champaign. His areas of specialization are Greek art and archaeology, the Mediterranean and the East, the ethnoarchaeology of Crete, and archaeological science. 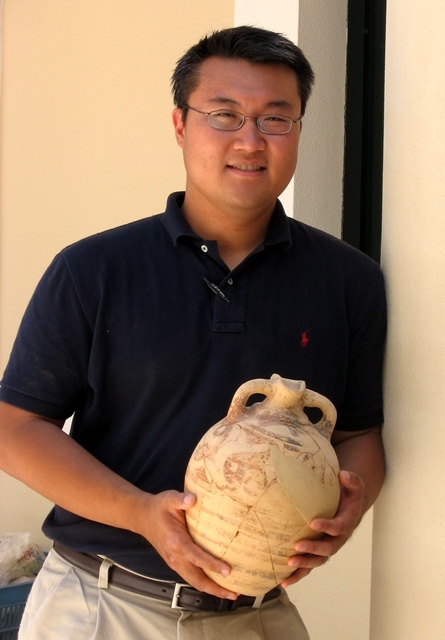 Professor Koh has done field work for the ARCHEM Project in Greece, Israel, Egypt, and Turkey. Dr. Alexandra Ratzlaff is currently an NEH Postdoctoral Fellow at the Albright Institute in Jerusalem, after previously holding a Fulbright Postdoctoral Fellowship at the University of Haifa. She received her Ph.D. from the Department of the Archaeology at Boston University, with a dissertation entitled “The Maintenance of Empire: The Roman Army in the Negev from the 1st – 7th centuries C.E.” She previously attended the George Washington University, graduating in 2003 with a B.A. in Archaeology and Classical Studies. Alexandra has participated in excavations in Ireland and Israel, including at the Roman Fort of Yotvata, Tel Achziv, Beer Shema, and Tel Dor. Nurith Goshen is Curator of Chalcolithic and Bronze Age Archaeology at the Israel Museum in Jerusalem. She received her B.A. degree in Classical Archaeology and Art History from Tel Aviv University in 2004. She subsequently continued her M.A. studies in the Department of Archaeology and Ancient Near Eastern Cultures, writing an M.A. thesis entitled “The Genre of Aegean Miniature Frescoes Dating to the MMII-LMIb.” She is currently a Ph.D. candidate in the Art and Archaeology of the Mediterranean World graduate program at the University of Pennsylvania, working on a dissertation entitled “Emergence of Palatial Institutions in Crete and the southern Levant in the Middle Bronze Age: A Comparative Study.” In addition to Kabri, Nurith has participated in various excavations in Israel and Crete. Inbal Samet has submitted her Ph.D. thesis at the University of Haifa, entitled: “Pottery Consumption and International Trade in Middle Bronze Age Kabri and Other Canaanite Palatial Polities.” She completed her M.A. at Tel Aviv University, on the topic of Canaanite rulership in Late Bronze Age Megiddo, and previously received BA degrees in architecture and archaeology. 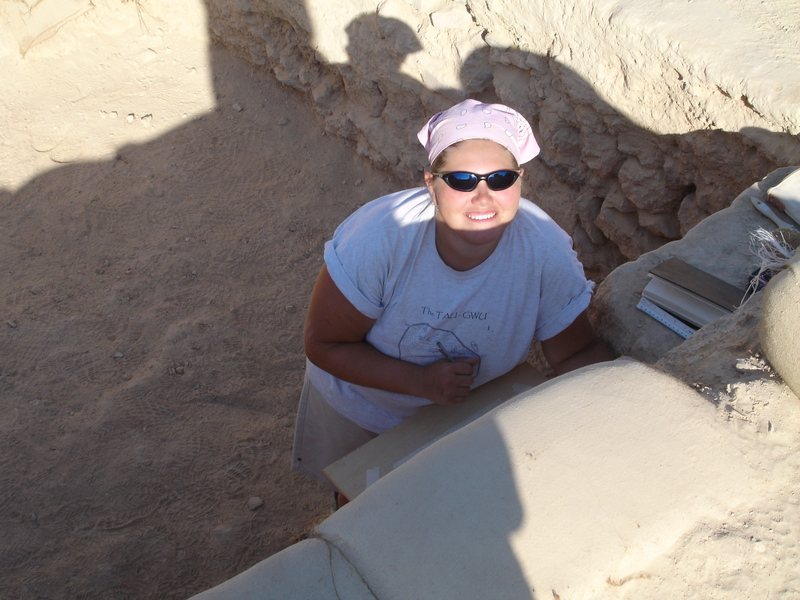 She has participated in numerous excavations In Israel, including Kabri, Ramla, Megiddo, Achziv, Jezreel, and Tell Eshur, and directed the 2016 excavation at Atarot. Dr. Helena Tomas is a Lecturer in Aegean archaeology at the University of Zagreb. She received her DPhil from the University of Oxford, with a thesis entitled “Understanding the transition between Linear A and Linear B scripts.” Her research interests include Aegean Bronze Age scripts and administration and correlations and contacts between the Aegean, the Balkan Peninsula, and Central Europe during the Bronze Age. She has been part of the Kabri Archaeological Project since 2005. Ariel Polokoff is pursuing her Master’s degree at the University of Haifa in the Department of Maritime Civilizations. She graduated from The George Washington University in 2015 with a double major: a B.A. in Art History and a B.A. in Archaeology. Ariel has participated in various excavations around Israel, including Tel Kabri, Tel Dor, and Shivta.